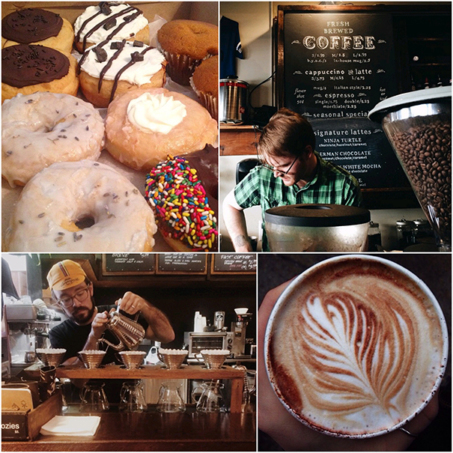 Frederick is well known for its delicious dining options so it should come as no surprise that you can find great coffee and doughnuts here as well. 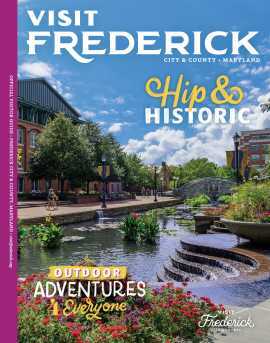 Starting off your morning with Frederick coffee and doughnuts is a treat for your taste buds. If you need a little boost in the morning, it may be just the thing to get you going! In Downtown Frederick is Café Nola, a purveyor of fine coffee. The restaurant serves quality and classic dishes made from organic and local produce. Located in the heart of downtown on East Patrick Street, Café Nola is representative of hip and historic Frederick. The interior of the historic building has a modern coffeehouse vibe and is decorated once a month by a local artist. Outside, patio dining is perfect for enjoying the Arts and Entertainment District during warm weather months. Patrons can sip on coffee and espresso, free trade and loose leaf tea, tea lattes, and signature lattes, complete with amazing latte art. 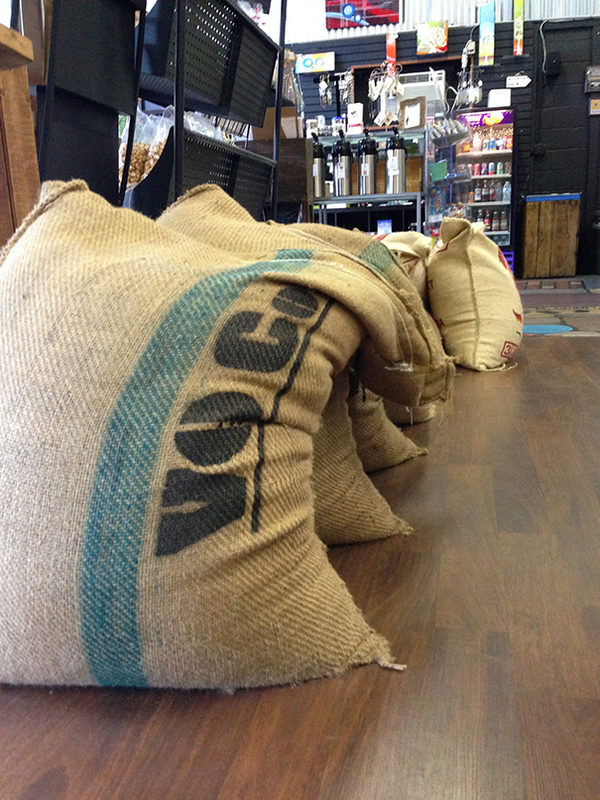 At Frederick’s Dublin Roasters, every bean is hand-roasted to achieve the best flavor. You’ll find organic and fair-trade coffees as well as special blends and flavored coffees. The coffee is roasted in small batches and only per order. Owner Serina Roy has been roasting coffee for more than 15 years and recognizes that the potential flavor is locked in the raw bean. She knows that roasting is an art form. Samples are always available and you can purchase regular, decaffeinated and flavored coffee by the cup, or buy the beans for use at home. They’ll even grind them for you depending on your brewing preferences. Local artists display their talents all around Dublin Roasters and the coffee shop is a regular meetup for book clubs, moms groups, knitting groups, friends, and professionals. Coffee and doughnuts go hand in hand and if you’re looking for doughnuts in Frederick, Glory Doughnuts is likely to come up in conversation. Their doughnuts were originally available at Café Nola where they made a name for themselves. Now they’ve opened up shop in downtown Frederick on East Church Street. Their doughnuts are hand-forged, small batch, vegan recipes made with local, organic ingredients. These daily delights are available for purchase first-come, first-served and come in rotating flavors like Rosewater, Cookie Butter Cup, Salted Maple Longjohns, Chai Tea Frosted and more. Glory Doughnuts also has a breakfast menu of everyday vegan offerings. Beverages include locally-roasted, single-origin, organic coffee in addition to local, organic juices and organic, fair-trade teas. 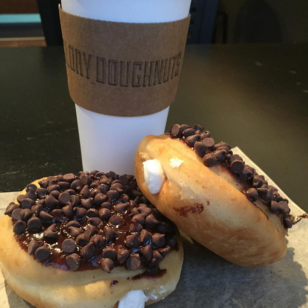 The next time you’re in Frederick, start your morning off right with coffee and doughnuts!